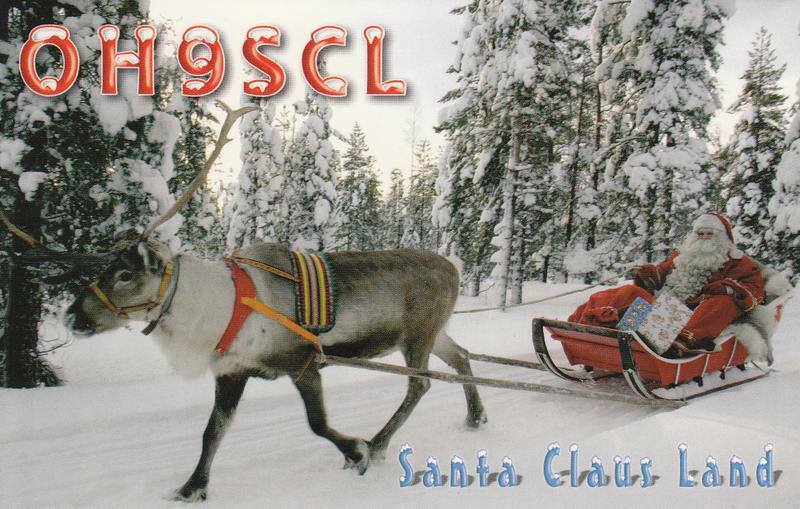 The traditional Santa Claus Land radio station, OH9SCL, will be active also in December 2015. This years activity will be special. OH9SCL has now been active for 30 years from Artic Circle. Activity will be mostly on HF-bands on all modes. This year 2015 activity will be very special for us. OH9SCL has now been active for 30 times from the Artic Circle!!! Activity will be mostly on HF-bands on all modes as before from Lapland northern part of Finland, let´s see on the bands! Santa´s own amateur radio stationOH9SCL has been busy since December 1986, operating in Finnish Lappland in the Arctic Circle. The North of the country is well-known as Santa Claus Land. The most activity takes place during December, operated by local radioamateurs helped with visitor operators. 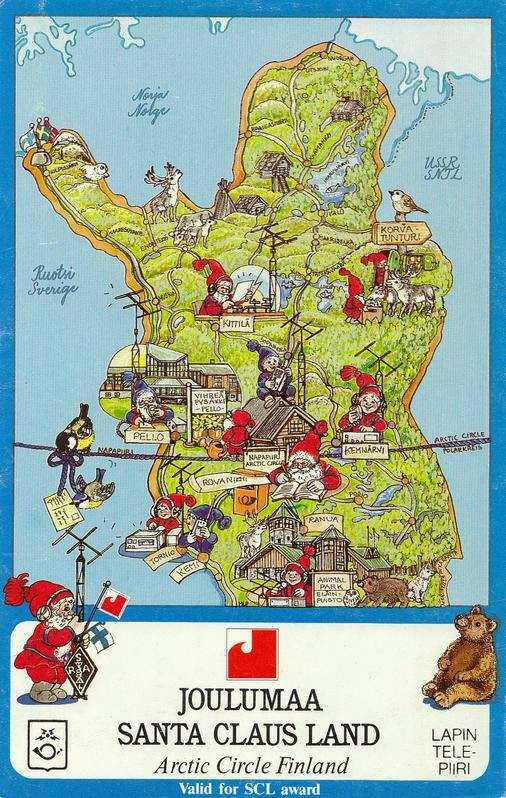 The picture with the map shows the original QSL-card from 1986. If you like, learn more about the special area of Lapland on the links below. Count all contacts after January 1st 1986. No bands or mode limits. Every station can count only once. One SWL-report per station counts as one contact. Please list QSOs with details and your address. Please enclose 15 USD, 10 Eur or 12 IRCs to cover handling and return postage. Required number of points: Finland 20 points, Europe 15 points, Elsewhere (DX) 10 points. OF9, OG9, OH9 and OI9 stations gives 1 point, in December 3 points. SCL in suffix gives 5 points, in December 10 points.